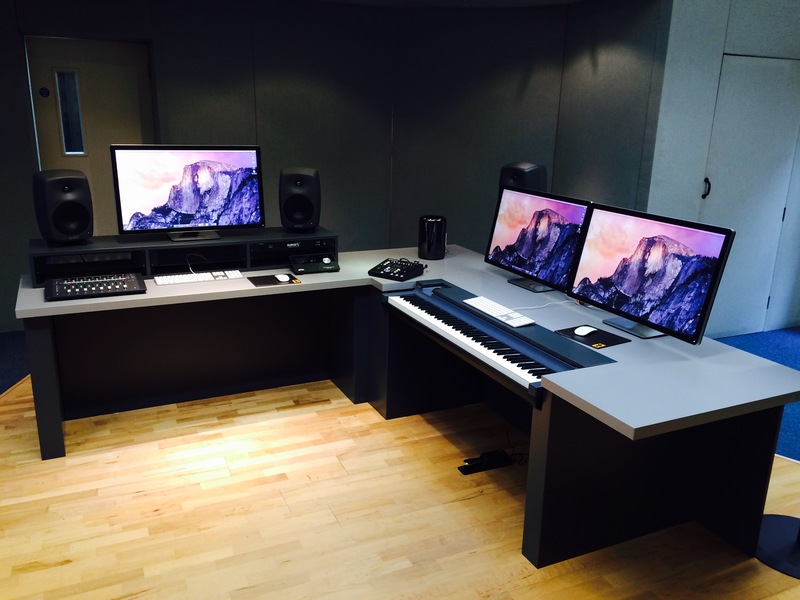 Our custom studio furniture can seriously enhance any recording, film, television or post studio. We design and build custom consoles, racks and panels using a variety of materials including hard woods, veneers, MDF and sprays. The hard woods we most frequently work with are oak, oroco, beech and maple with veneers such as cherry wood, light oak, maple, beech and walnuts being very popular. We spray our MDF furniture with a hard-wearing polyurethane coat and can finish in literally any colour – only limited by the imagination! Please call us for detail and pricing. Here are a few examples of our current work.